First we managed to finish out the birthday without too much drama. Caden genuinely enjoyed opening his presents and even requested the birthday song. Now this is huge because as you may recall we’ve had a ban on such songs for several years now. Granted he stopped us part way through the song but it was a sparkling indication that 6 is going to be a spectacular year for Caden. Thursday was a dramatic day although probably more so for me than the kids. I have a huge dental phobia-you know the kind of phobia that doesn’t allow you to walk through the door to a building that houses a dental office or even watch dental commercials. But the appointments couldn’t be rescheduled until well after the start of school (and yes I did confirm that information just in case I had an escape hatch to use)so we headed out. Caden was an absolute rock star even though he had to have dental xrays for the first time and the assistant wouldn’t allow Elf or I to go back with him. He handled the exam and cleaning better than I did and the only work Elf had to do seemingly was with me. We even made it home from the dental office although we may have taken a scenic route home. Fast forward through a few major meltdowns and we were ready for Ryley’s birthday party Thursday evening. Although we were risking life and limb by going to a roller skating arena for the party, I refused to risk Elf’s tail so he stayed home. Hosting a pre-teen party and keeping an eye on an energetic 6 year old was interesting but thankfully the older kids were all very kind and took turns playing with Caden on the playscape. One of the mothers even took pity on the look of fear on my face and stayed to help me. Friday we started a new medication for Caden. After a long consultation with his pediatrician, we decided that Caden just couldn’t tolerate another surgical procedure unless we were dealing with an emergency. She shared that trialing him on a new medication would give us almost the same information as one of the tests because we’d either see improvement or we wouldn’t. Side effects potential seemed minimal so I was totally and completely sold on the noninvasive plan. The kids and I headed out to pick up the prescription, try to get a few more school supplies at Walgreens, and then try to find the specialty pharmacy that was compounding a few new meds for our cat who apparently has kitty IBS. Seriously we now have a dog with an ulcer and a cat with ibs—are we just the human and mammal GI disaster household??? This was all pretty uneventful until a stranger climbed into the front seat of the van with us and then proceeded to chat after realizing she was in the wrong car. Note to self: must research how to behave in a carjacking asap as I realized I had no clue although future carjackers should note that I am directionally illiterate so please allow extra time to program my gps. Saturday marked the passing of another 28 days so the kids were slated for infusions at the hospital. We were able to get the new product in time for this infusion and thankfully both kids’ needles went in on the first try this month. Since I’m already boring you with a lot of details I won’t get into too much on this one other than to say that Caden had a rough time with the new medication and that gray isn’t the best color on him. A lot of meltdowns, very little sleep, another doctor’s appointment, and a lot of school supply shopping later we headed to Mayo on Wednesday. The biggest thing I learned on this trip is that I don’t drive our new van enough. Case in point: Ryley and I had to read the instruction manual in the gas station parking lot in order to get the gas thingy off and we rode home with our windshield wipers on because I either thought it was a good idea or couldn’t get them turned off while driving [I am neither confirming nor denying which answer it is]. I also had to continue to be very thankful that my phone has an amazing gps because our creative route out of Rochester would have put us in the wrong state eventually if gps wouldn’t have kindly ordered us otherwise. I don’t know if I lost or won more battles in the last week but I do know that the kids were fed, they got some sleep, the house was semi-organized and clean, and at the end of almost every day Elf and I were still standing. I can honestly say that I needed Elf almost as much as Caden did because he was my backup and some hours the only living being in our household that I could guarantee liked me at that moment. There’s something reassuring and consistent about a service dog and I’ve got to say he seems to be showing a lot less ptsd than I am at the moment. Maybe it’s his acceptance of the moment rather than anxiety over past experiences or worry over what’s coming up next. As long as there’s a little treat every once in a while, he’s ready for the next challenge; although I don’t quite know how yet, there’s a lesson for me to learn in Elf’s demeanor. I’m just hoping that we can substitute out Coke Cola or Starbucks for those stinky little nonvegetarian doggy bites that he so loves! Thursday was a dramatic day although probably more so for me than the kids. I have a huge dental phobia-you know the kind of phobia that doesn’t allow you to walk through the door to a building that houses a dental office or even watch dental commercials. But the appointments couldn’t be rescheduled until well after the start of school (and yes I did confirm that information just in case I had an escape hatch to use) so we headed out. Caden was an absolute rock star even though he had to have dental xrays for the first time and the assistant wouldn’t allow Elf or I to go back with him. He handled the exam and cleaning better than I did and the only work Elf had to do seemingly was with me. We even made it home from the dental office although we may have taken a scenic route home. Good and evil. Light and dark. Night and day. Yin and Yang. Balance. Balance in food and drink. Balance in exercise and leisure. Balance in work and play. We all live the balancing act every day. Heck I even research about the balancing act between work and family as well as work and chronic illness. The point here….I totally and completely understand the need for balance. But to be honest I’d like a little lessbalance in my life. Let me illustrate. On August 9th we celebrated Ryley’s 12th birthday. I just can’t find the words to explain how each and every birthday that she celebrates simply takes my breath away. I guess hearing that your child will never live to see the age of 5 or watching your child code and having to explain to her later why her ribs are so sore from cpr kind of drives home how precious each and every minute is with your loved ones, particularly when they are your child. And so as much as it overwhelms me that my baby girl is now a pre-teen (and heaven help the person who mistakenly calls her a “child”), I also can’t begrudge the time because it is all time that I never expected to have. So to be completely honest with you birthdays are a BIG deal in our household.Call it overindulgence, spoiling, or whatever you want but I strive to make each and every birthday as special as possible. This year was no different and I think we did pretty good: a new skateboard (please let us start school without a cast or crutches unlike the last few years), an American Girl doll (thank you Grandma and Grandpa), and lots and lots of zebra printed stuff. If you know my family at all, you also know that August is cupcake month for us—it’s a long story that I’ll explain another day if you don’t know the story—this day was no different; we lived it up with S’mores cupcakes. Pure and simple fun, happiness, excitement, and togetherness just the way birthdays ought to be. Then we took her to a friend’s house to stay the night not because she had asked, not because she had been invited, but because her dad, brother, and I had to be up early for a trip to Mayo on the 10th. Caden had to go under full anesthesia again(#6 if you are keeping track—Ryley said it was because they always have to have at least the same number of anesthesias or more than their age---this is a trend I’d love to break one of these days) in order to have a mag3 renal scan with lasik. This was the test that was going to explain his abdominal pain and the abnormality the doctors discovered on an ultrasound a few months ago. Morning, as always, came too early and we headed to Mayo. Doing what we always do because Caden couldn’t eat, we didn’t eat, because Caden had to drink a lot for the test, we drank a lot, and because Caden couldn’t use the restroom, we didn’t either. Elf, as always, entertained the waiting room although he did look a little worried in pre-op because the tables were pretty high and he wasn’t sure if or how he was supposed to get up there with his boy. The procedure took longer than expected and recovery was rough. I think part of the problem is that he just recently had anesthesia and in the past we’ve noticed the closer procedures are, the more effects he deals with. Insult to injury once his vitals stabilized and the vomiting stopped we had to pack him up and head to another building to wait over an hour for a doctor who was running late to get the test results. 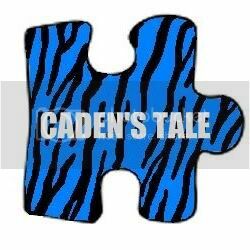 Before looking at the procedure results, the doctor informed us that Caden would probably need a few more tests that will require……full anesthesia. Not sure why the doctors aren’t coordinating efforts but we are working on that before we do this again. The easy answer is that the abnormality exists in Caden’s one kidney but it isn’t causing the pain and the other tests and another specialist will be necessary to figure out if and how to fix things. Heartbreak, frustration, and anger are just a few of the politer words that come to mind to explain how I felt leaving Mayo on Friday. On the 12th we had an early birthday party for Caden at Chuck E Cheese. I know it sounds counterintuitive to have a birthday party for someone with autism and sensory issues there but honestly it works for us if we plan it right. Consequently, we had a party at 11am on a Sunday when the place was l-i-t-e-r-a-l-l-y empty! 10 friends came, we avoided the large mouse and the dreaded [birthday] song, and the video games meant no child had to play together or interact if they didn’t want to. We came home and celebrated the successes of the party while planning our trip to Mayo for infectious disease/immunodeficiency appointments for both kids. In perspective these appointments weren’t all that dramatic although the infusion product both kids is being discontinuedand we need to do bloodwork again…..my definition of a low key appointment **may**be a bit skewed at this point in life. On August 15th we will celebrate another cupcake day in our household—Caden’s 6thbirthday. From above you already know the drill—there will be presents and cupcakes preferably without icing, and chocolate chip muffins because those are Caden’s favorite. We’ll celebrate with presents in the morning—we’ll be happy, excited, together and having fun. Then we’ll take time out to go over to the hospital for Ryley to have an xray to see if the pain and shortness of breath she has been experiencing is a result of a bubble in her lung that will require close monitoring and perhaps intense treatment. Because xrays are never read quickly we’ll come back home and we’ll enjoy cupcakes and more happiness, excitement, togetherness, and fun and we’ll wait for the call that will tell us if we are headed back to the hospital. And If we escape that hospitalization, we will be back in the hospital to hang out for 10 or so hours on Saturday as both kids receive their infusions with the new infusion product. So back to my original point, I understand we have to have rain to appreciate the sun and that without rain we wouldn’t have rainbows. I get why I have to take a multi-vitamin when I’m traveling and not eating as healthy as usual. I understand day and night, good and bad, yin and yang but honestly I am a little tired of life and death being so closely associated for my kids. Don’t get me wrong, I don’t feel sorry for us, but I do wish our lives could be just a little less balance. And on that note I’m off to bake chocolate chip mini muffins and funfetti cupcakes without icing. Balance. Balance in food and drink. Balance in exercise and leisure. Balance in work and play. We all live the balancing act every day. Heck I even research about the balancing act between work and family as well as work and chronic illness. The point here….I totally and completely understand the need for balance. But to be honest I’d like a little less balance in my life. Let me illustrate. On August 9th we celebrated Ryley’s 12th birthday. I just can’t find the words to explain how each and every birthday that she celebrates simply takes my breath away. I guess hearing that your child will never live to see the age of 5 or watching your child code and having to explain to her later why her ribs are so sore from cpr kind of drives home how precious each and every minute is with your loved ones, particularly when they are your child. And so as much as it overwhelms me that my baby girl is now a pre-teen (and heaven help the person who mistakenly calls her a “child”), I also can’t begrudge the time because it is all time that I never expected to have. So to be completely honest with you birthdays are a BIG deal in our household. Call it overindulgence, spoiling, or whatever you want but I strive to make each and every birthday as special as possible. This year was no different and I think we did pretty good: a new skateboard (please let us start school without a cast or crutches unlike the last few years), an American Girl doll (thank you Grandma and Grandpa), and lots and lots of zebra printed stuff. If you know my family at all, you also know that August is cupcake month for us—it’s a long story that I’ll explain another day if you don’t know the story—this day was no different; we lived it up with S’mores cupcakes. Pure and simple fun, happiness, excitement, and togetherness just the way birthdays ought to be. Then we took her to a friend’s house to stay the night not because she had asked, not because she had been invited, but because her dad, brother, and I had to be up early for a trip to Mayo on the 10th. Caden had to go under full anesthesia again (#6 if you are keeping track—Ryley said it was because they always have to have at least the same number of anesthesias or more than their age---this is a trend I’d love to break one of these days) in order to have a mag3 renal scan with lasik. This was the test that was going to explain his abdominal pain and the abnormality the doctors discovered on an ultrasound a few months ago. On the 12th we had an early birthday party for Caden at Chuck E Cheese. I know it sounds counterintuitive to have a birthday party for someone with autism and sensory issues there but honestly it works for us if we plan it right. Consequently, we had a party at 11am on a Sunday when the place was l-i-t-e-r-a-l-l-y empty! 10 friends came, we avoided the large mouse and the dreaded [birthday] song, and the video games meant no child had to play together or interact if they didn’t want to. We came home and celebrated the successes of the party while planning our trip to Mayo for infectious disease/immunodeficiency appointments for both kids. In perspective these appointments weren’t all that dramatic although the infusion product both kids is being discontinued and we need to do bloodwork again…..my definition of a low key appointment **may**be a bit skewed at this point in life. On August 15th we will celebrate another cupcake day in our household—Caden’s 6th birthday. From above you already know the drill—there will be presents and cupcakes preferably without icing, and chocolate chip muffins because those are Caden’s favorite. We’ll celebrate with presents in the morning—we’ll be happy, excited, together and having fun. Then we’ll take time out to go over to the hospital for Ryley to have an xray to see if the pain and shortness of breath she has been experiencing is a result of a bubble in her lung that will require close monitoring and perhaps intense treatment. Because xrays are never read quickly we’ll come back home and we’ll enjoy cupcakes and more happiness, excitement, togetherness, and fun and we’ll wait for the call that will tell us if we are headed back to the hospital. And If we escape that hospitalization, we will be back in the hospital to hang out for 10 or so hours on Saturday as both kids receive their infusions with the new infusion product.